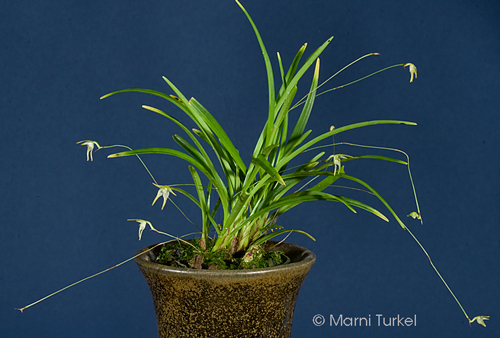 Aeranthes ecalcarata #549 x self (approximately 25 seedlings per flask). I am finding these difficult so can't guarantee that they will be available. The Species: This is an endemic species in Madagascar. 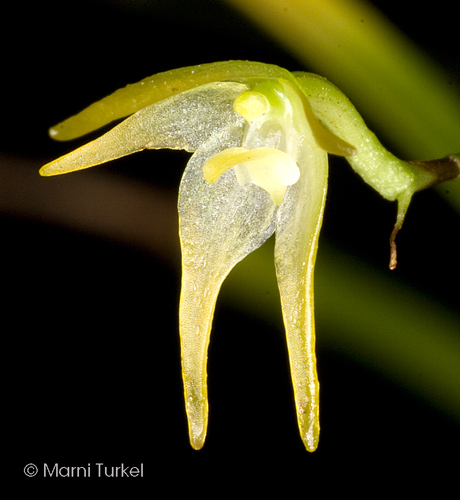 It is found at elevations from 4000 to 5000 ft in humid, evergreen forests on tree trunks and branches. 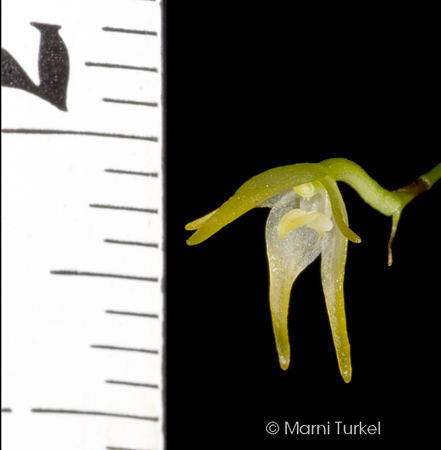 The plant is small stature with mature growths about 4" tall. Culture: Grow this in intermediate conditions. I have done will with it in a fine bark mix but it should also do well mounted if humidity is good. I water year round as it approaches dryness. Regular dilute fertilizer. The ruler in the image below is inches. The flower is small but in proportion to the plant.